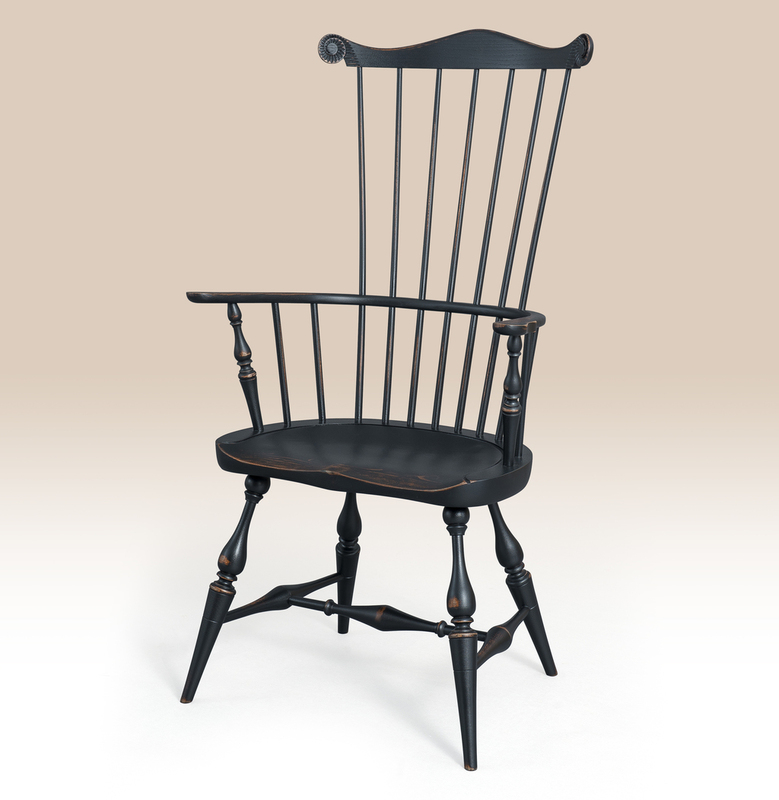 A Historical Greenwich Fan-Back Chair would work well at a dining table or as a accent in a family room along with many other rooms. 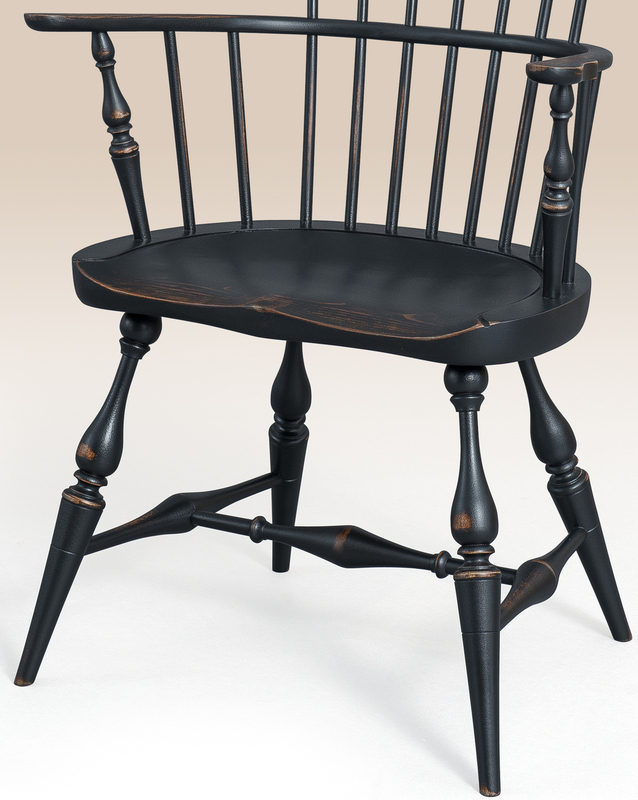 Take note to the carved ears, shaped seat and vase legs. 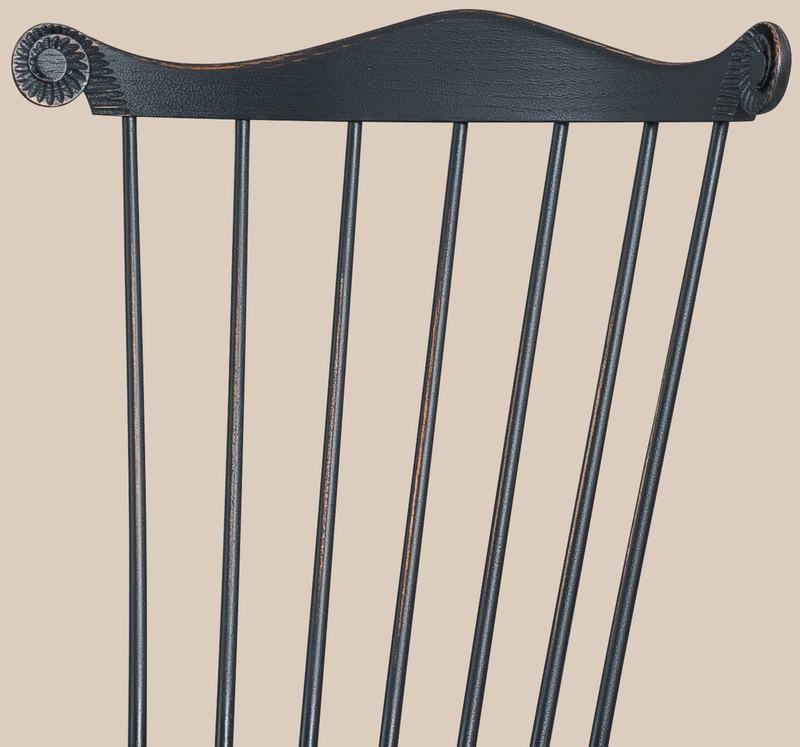 *Pictured in black over natural crackle finish.